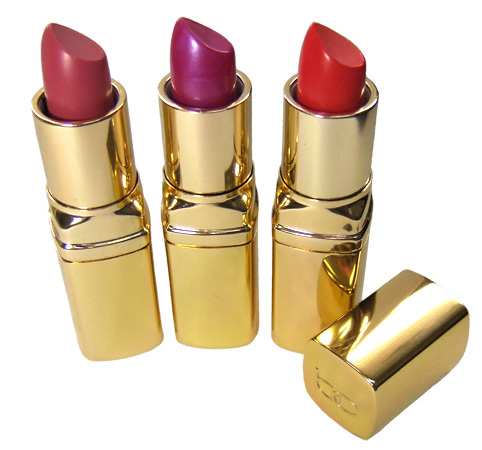 Use Luxury Lip Color for a beautiful, extra rich and creamy color that hydrates with natural oils and lasts for hours. To protect lips from the sun, use Sheer Color Lipstick with an SPF of 15 and with strong nutrient and moisturizing properties. 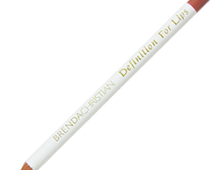 Line lips, fill in with Luxury Lip Color. Lanolin Oil, Polybutene, Cetyl Ricinoleate, Glyceryl Triacetyl Hydroxystearate, Euphorbia Cerifera (Candelilla) Wax, Synthetic Wax, Glyceryl Triacetyl Ricinoleate, Copernicia Cerifera (Carnauba) Wax, Wheat Germ Glyceries, Rosa Canina Fruit Oil, Anthemis Nobilis Flower Oil, Simmondsia Chinensis (Jojoba) Seed Oil, Persea Gratissima (Avocado) Oil, Allantoin, Aloe Barbadensis Leaf Extract, Retinyl Palmitate, Tocopheryl Acetate, Tocopherol, Ascorbyl Palmitate, Propylparaben, Butylparaben, Fragrance. May contain Titanium Dioxide, Iron Oxides, Mica, Manganese Violet, Red 6 Lake, Red 7 Lake, Red 27 Lake, Red 33 Lake, Red 36, Orange 5, Yellow 5 Lake, Yellow 6 Lake, Blue 1 Lake. Contains Carmine as a Color Additive. Ricinus Communis (Castor) Oil, Caprylic/Capric Triglyceride, Isopropyl Lanolate, Euphoria Cerifera (Candelilla) Wax, Cetyl Lactate, Triisostearyl Citrate, Lanolin Oil, Beeswax, Ozokerite, Brassica Campestris/Aleurites Fordi Oil Copolymer, Polymethyl Methacrylate, Phenyl Trimethicone, Polysilicone-11, Persea Gratissima (Avocado) Oil, Orbignya Oleifera Seed Oil, Simmondsia Chinensis (Jojoba) Seed Oil, Illipe Butter, Butyrospermum Parkii (Shea Butter) Fruit, Ethylhexyl Methoxycinnamate, Tocopheryl Acetate, Retinyl Palmitate, Tocopherol, Sodium Hyaluronate, Folic Acid, Ascorbyl Palmitate, Propylparaben, Butylparaben, Fragrance. May Contain: Titanium Dioxide, Iron Oxides, Mica, Red 6, Red 7 Lake, Red 21, Red 27, Red 28 Lake, Red 30 Lake, Red 33 Lake, Orange 5, Yellow 5 Lake, Yellow 6 Lake, Blue 1 Lake. 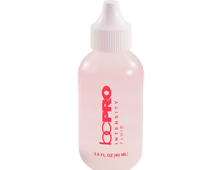 Contains Carmine as a Color Additive.